The Synthetic Biology SRI is holding a series of monthly lunch meetings in Cambridge for anyone interested in cell-free synthetic biology. Last week we heard an interesting talk from Sutro's CSO Trevor Hallam about their rapid development and manufacture of therapeutic antibodies in enormous cell-free systems. Get in touch with synbio@hermes.cam.ac.uk if you're interested in joining the next one! Lunch at the University of Pretoria with our wonderful host Steven Hussey and his group. In February Chun Man, Emily, and Laura travelled to Pretoria and Johannesburg in South Africa to meet with experts and locals who might be able to help us co-develop and implement a cell-free paper based diagnostic technology. We spoke with agricultural specialists and practitioners; environmental researchers specialising in soil and water contamination; a designer with expertise in implementing products for low-resource settings, and a research group who make microfluidic biosensors. From these discussions we took two key take-home messages. Firstly, there is a lot of interest in developing these diagnostics for a range of applications in South Africa, not only across disciplines but also over industries tailored to different classes or regions. Secondly, the country is uniquely suited for co-developing the tests, since technical expertise exists alongside poverty stricken areas with serious unmet diagnostic needs. We’d like to thank the GCRF for funding the trips, our hosts, the Synthetic biology SRI and CGE for all their support so far. Our (ad)venture started in October 2016, when seven University of Cambridge students were assigned to the same Development iTeams project, with the objective of identifying high-impact applications for cell-free diagnostics in low income countries. 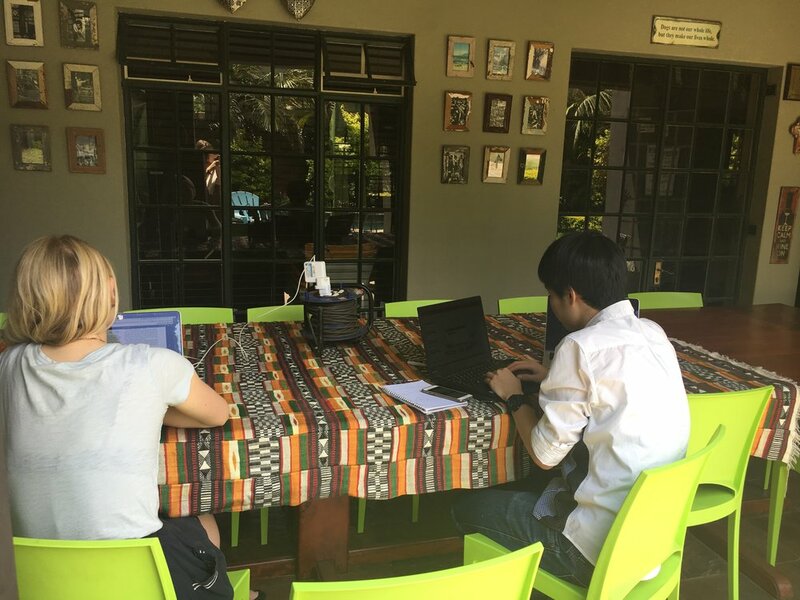 We spent a very intense 6-weeks brainstorming, contacting experts around the world, and discussing with our mentors: Jenny Molloy from the Synthetic Biology SRI; Fernán Federici from PUC (Chile); Richard Hammond from Cambridge Consultants, and Lara Allen from the Centre for Global Equality. After extensive research on applications ranging human diseases to disaster relief, we identified animal diseases, crop diseases, and environmental heavy metal contamination as promising directions. Towards the end of November 2016, when the iTeams project was drawing to an end, it became increasingly apparent that surveillance of livestock diseases would be a particularly valuable area of application for the technology. During the winter break, five of the seven iTeam members - Chun Man, Emily, Laura, Raghd and Simon - decided to carry on with the project, and so in January 2017 OpenDiagnostics was born. Since then, a lot has happened - field trips, raising funds, and the start of prototyping - which we will write about soon. For any interested students at the University of Cambridge, we would highly recommend participating in the Development iTeams programme. Welcome to our new online presence! This blog will be a place to keep everyone updated with our progress.